The perfect lesson after last week’s on the life cycle of the frog (found here) was to learn about the life cycle of the butterfly. I first have to apologize for the quality of the pictures. I left my camera on vacation and was forced to use my flip phone-YES they are still around. 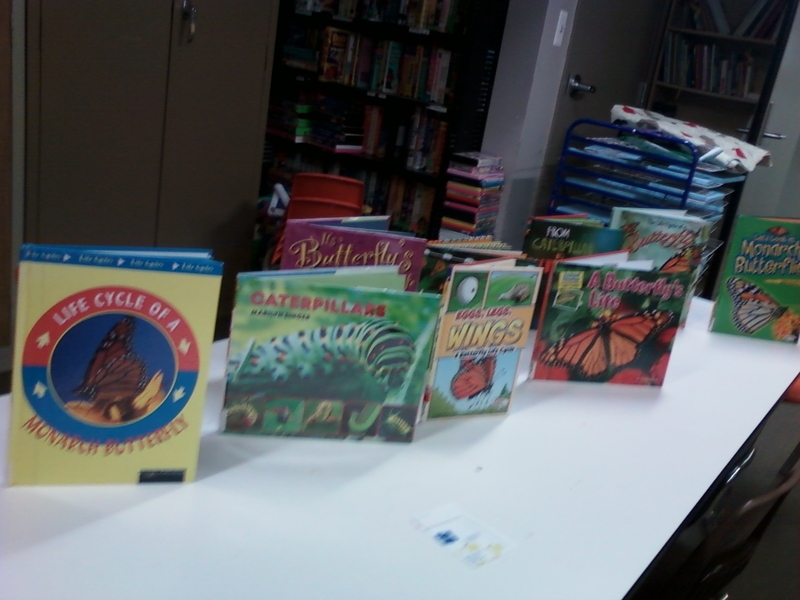 I started by letting the children leaf through about ten different books on caterpillars, butterflies, and their life cycle. This has become such an important part of our class. The kids are exposed to informational text, new vocabulary, and photographs of the subject that we are discussing. I held up a picture of the life cycle and went through the different stages. We talked about the word metamorphosis, as we had, when discussing the frog life cycle. 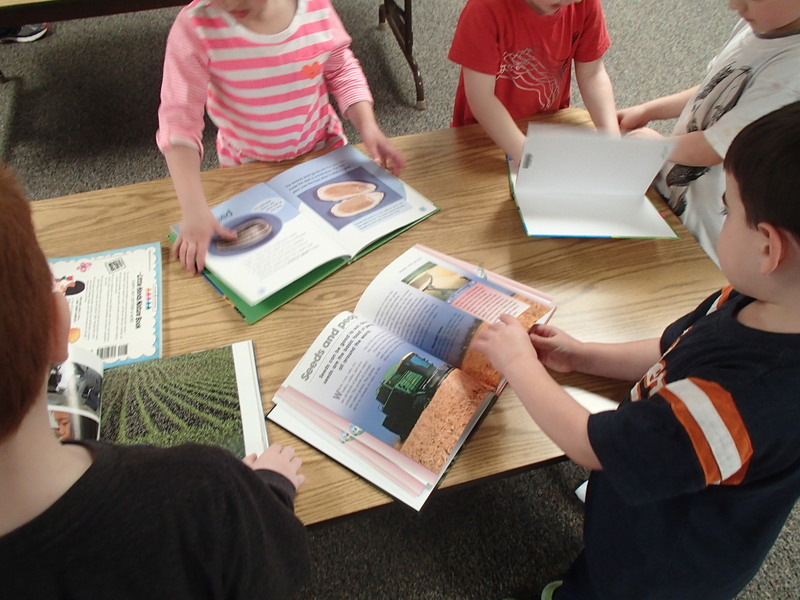 As we went through the cycle, the kids quickly went through their books and looked for pictures of what we were discussing. 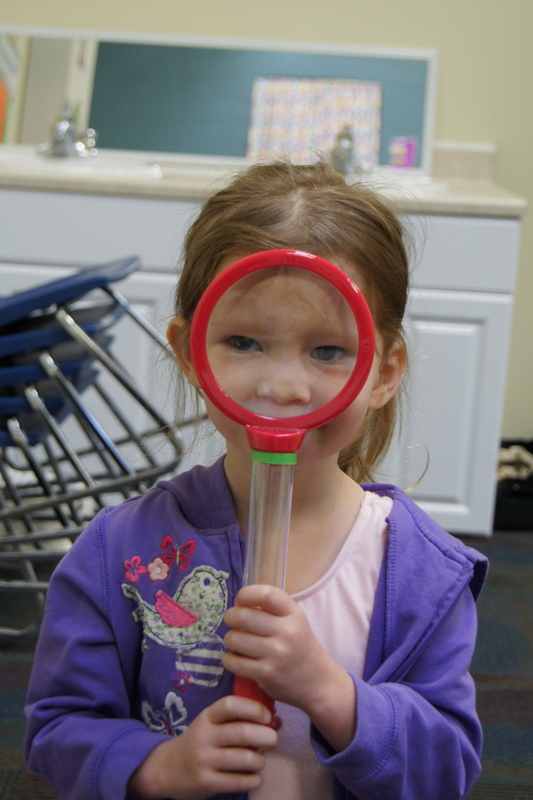 This week, we learned about amphibians and the life cycle of frogs. 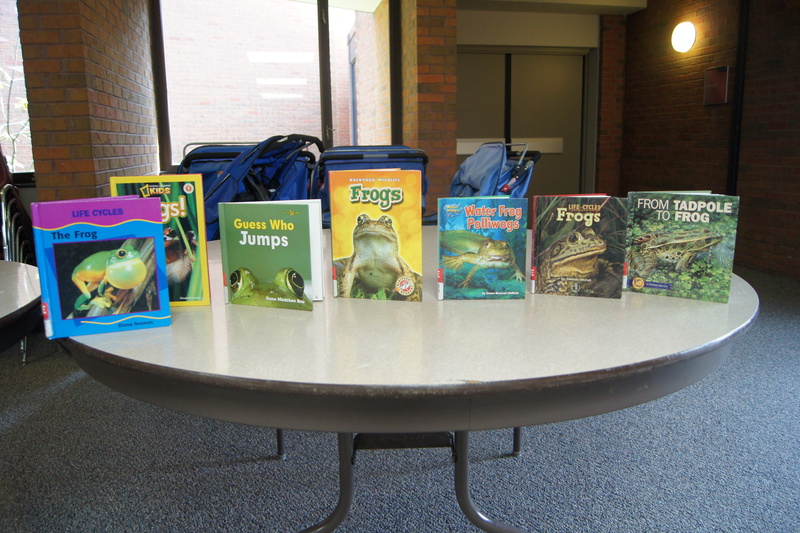 We started out by looking through many books about frogs and their life cycle. The kids loved looking at the pictures and pointing out the animals they recognized. Many of the students had background knowledge on the life cycle and were able to identify pictures of frog eggs and tadpoles. I put out the books for the children to go through when they were finished with their snack. We have been talking about seeds for a couple weeks now. I have had these books with me each week. At this age, repeated reading is extremely important. The kids were so excited to look through the books! They were able to recognize the parts of a plant, different seeds, and were overall very interested! I loved it!!! For time sake, I actually had to stop them so we could move on! This week we were going to grow grass seeds. Last week, we looked at one seed, a bean seed. 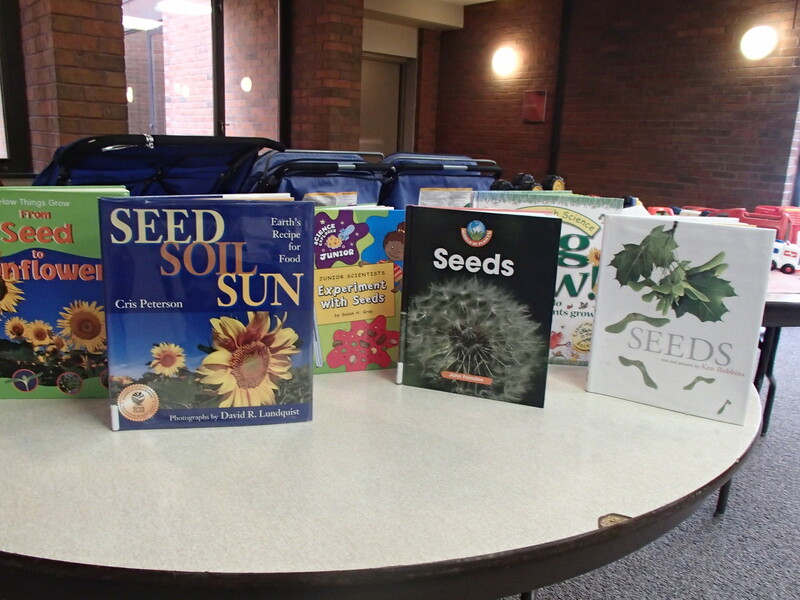 This week, we examined and studied several different seeds. I think that I speak for most of us in Michigan when I say, I AM READY FOR SPRING! So ready, in fact, that I decided to skip to some of my spring lessons. 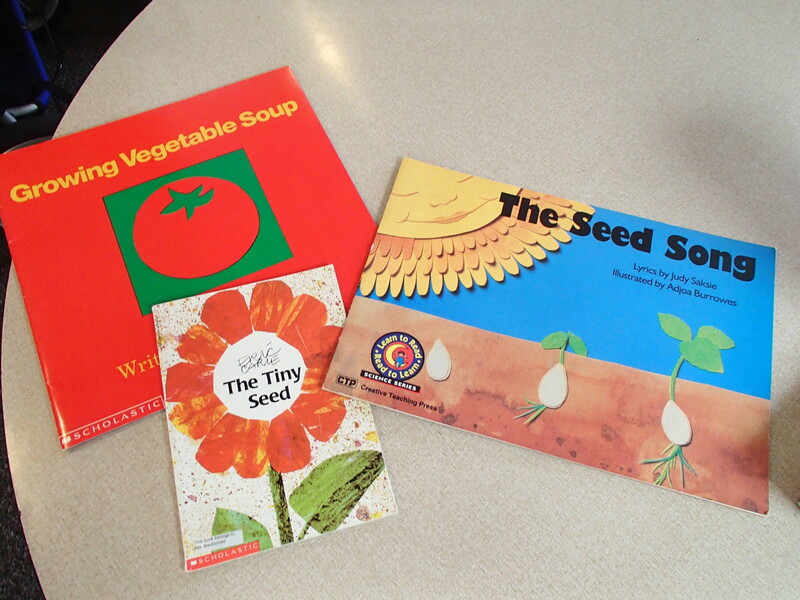 We began by reading “The Seed Song” by Judy Saksie. There really isn’t too much to this book. 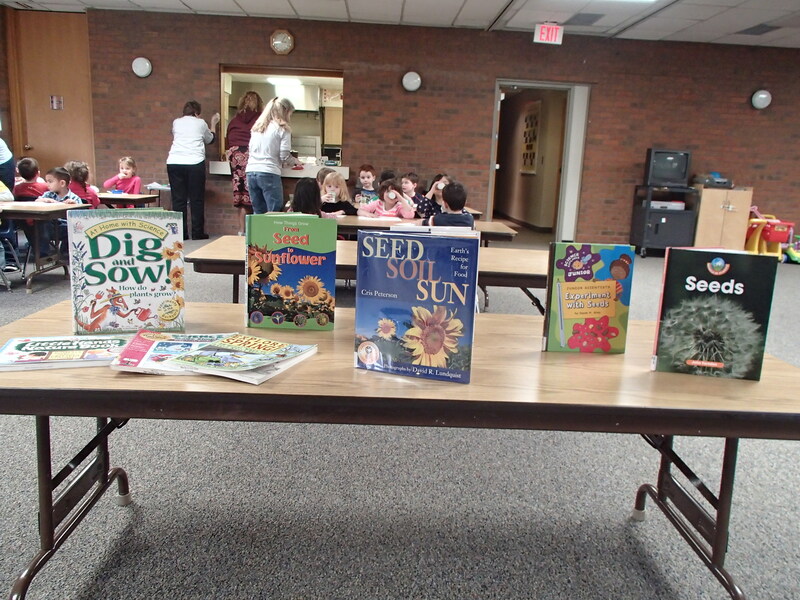 It is a song about growing seeds, but I really wanted to show the pictures to the children and I had it in big book format which made it even better. I am warning you that the pictures in this post may be extremely boring to most people…however, they are very exciting to my 3 year old! I have to start by telling you of My Daughter’s intense fear of thunderstorms. She has always gone crazy when she hears them. At night, she runs in our room, screams, cries, whatever. During the day, she hides under blankets and behind couches. I wondered how we could help her overcome this fear. 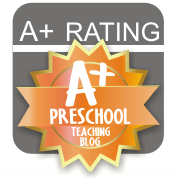 I knew that somewhere along with way, I wanted to plant seeds with my preschoolers. I also knew that I wanted to read The Tiny Seed by Eric Carle before we planted. 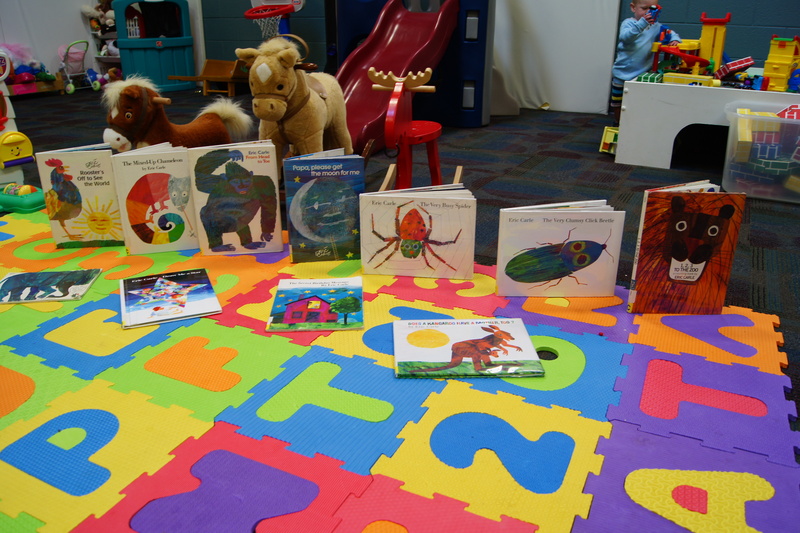 Since Carle has so many beloved children’s book, I decided to do a Eric Carle author study. We didn’t get to everything that I had planned, but I guess it is better to have too much, than not enough! Here is what we did get to….